Yes, I am ashamed of that tittle, anyways! 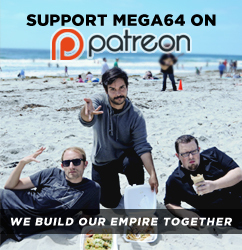 Welcome to the Mega64 Podcast. In this episode: We talk a ton about Red Dead Redemption 2, the struggles of school, and talk about the games we would most like to see re-released on the new consoles. Check it out! Click here for the audio version! That's all for now! Come back soon...I'll be waiting.